Guest: Dr. Jeff Bell. Topics: Space policy, commercial space, space advocacy, NASA human spaceflight program, the Cold War, and more. Please note that you are invited to comment, ask questions, and discuss the Space Show program/guest(s) on the Space Show blog, http://thespaceshow.wordpress.com. Comments, questions, and any discussion must be relevant and applicable to Space Show programming. Welcome to this classic vintage Dr. Jeff Bell 2.5 hour program! For those of you not familiar with Dr. Bell, you might have a rough ride listening to this discussion. For those of you familiar with his hard hitting views and reality as he sees and understands it, you will know why I said this is classic vintage Bell at his best. During our first of two very long segments, Dr. Bell opened the discussion with an overview saying that the traditional NASA man space program was dead. He said it looked backed to 1957 and he attributed our space policy to none other than the former head of the old Soviet Union, Nikita Khrushchev. Dr. Bell explains himself throughout most of this segment and the second segment as well, but you should carefully listen to what Dr. Bell shared with us. Many times throughout our discussion, he talked about STEM, science leadership, the Cold War, facts, and fiction, and how this drove our space policy to where it is today. As he said many times over, the Cold War is over but not the remnant of it, our NASA human spaceflight program. You do not want to miss his examples, the details he provides, & the supporting information he provides. During this segment, we talked about congressional funding of space programs including the VSE that has been ended. He talked about the need for congress to give up its power over NASA as it did in closing military bases through the Defense Base Closure and Realignment Commission (BRAC). We talked about NASA oversight and regulations and how it might end up overwhelming commercial human spaceflight development. This description pertains to just a fraction of what Jeff and listeners discussed during this segment so be prepared for a discussion you don't normally hear regarding space affairs. In the second segment, we talked about cheap space access, Space X, capitalism, the ISS, and space advocacy. In the context of space advocacy, we talked about the space visionary leaders and the world they strive for versus where we are today. As you will hear, Jeff and I departed from one another on the space visionary leaders and the work they do. Our discussion then evolved to talking about the absence of understanding technology as part of the vision presentation. I'm quite sure that this part of our discussion will rile many listeners but that is what The Space Show blog is for so have at it. I'm sure many of you will take exception to some of the comments I offered given my ten years of experience with the program & for example, business plans. Jeff talked about and critiqued NewSpace and some of the companies involved such as Virgin. Later he said that the space advocacy community was like a "messianic" program. During both segments, we discussed the aerospace workforce and Jeff said the size of it was not needed and it was in essence a throw back to the Cold War. Listeners participated in the program via email only (a true disappointment as you will hear me say over and over again). Jeff was challenged on the need for an aerospace workforce as well as technology R&D. Jeff also suggested that money would have been better spent over the decades developing a viable electric car rather than on human spaceflight. Near the end of the discussion, I referenced the Michael Lind article on Salon.com, "Why We Should Embrace The End Of Human Spaceflight," www.salon.com/news/politics/2011/04/12/nasa_spaceflight_future_governmen.... 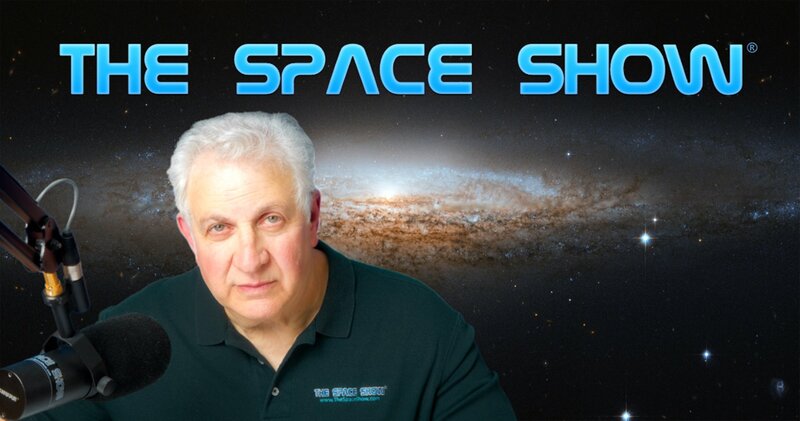 Please post your comments and questions for Dr. Bell on The Space Show blog URL above.